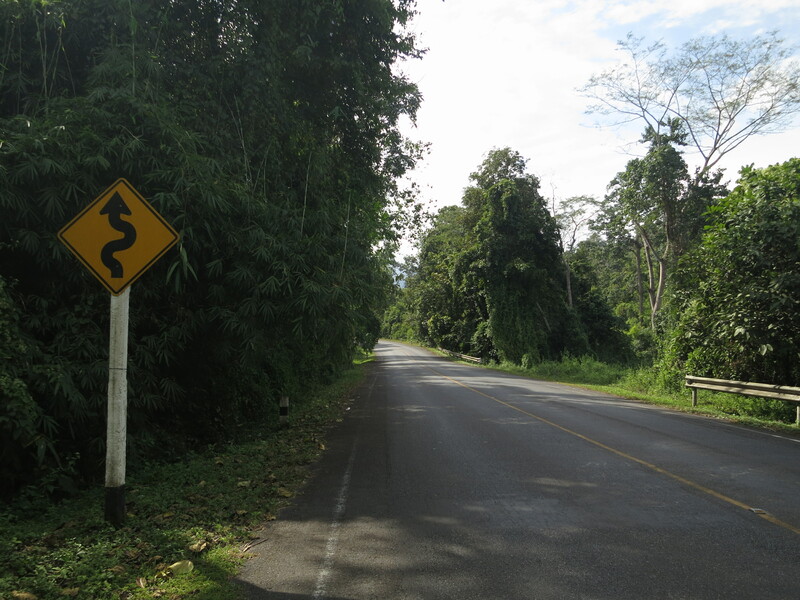 We’d been looking forward to our travels bringing us to Chiang Mai for a while, but once we got there, we quickly found we didn’t really know what to do with ourselves. We’d been looking forward to it because it’s a favourite destination of many digital nomads – internet-famous travelling bloggers/programmers/nerds in whose lifestyles we’d definitely taken more than a passing interest as one to consider perhaps emulating longer term. 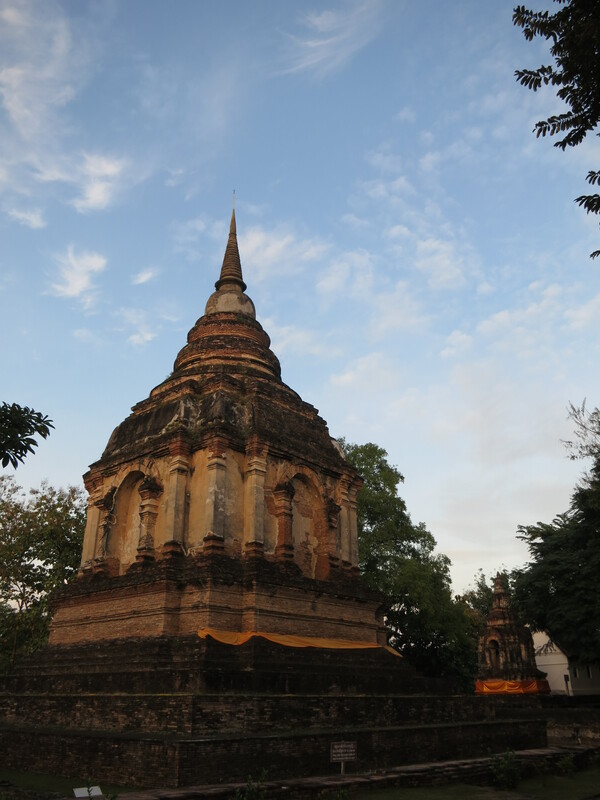 But of course, those people love Chiang Mai because it’s a comfortable and affordable city to set up base for a while and get on with the non-touristy parts of their lives. We, on the other hand, had no such delusions of productivity. I get asked a lot what I intend to do once our round-the-world ticket comes to an end in September, and I happily tell people that I don’t know, and frankly right at the moment, I don’t care. But I’ll admit it’s not like I’ve given it no thought whatsoever. I like travelling, and I intend to keep doing a lot of it – whether that involves being permanently on the road, or whether it means setting up a home base in Australia again and taking lots of extended holidays as often as I can afford it. I’m a computer programmer by trade, so assuming I’m any good at said trade, it should theoretically be possible for me to make a living pretty much anywhere in the world, working for people who could theoretically be anywhere else in the world. 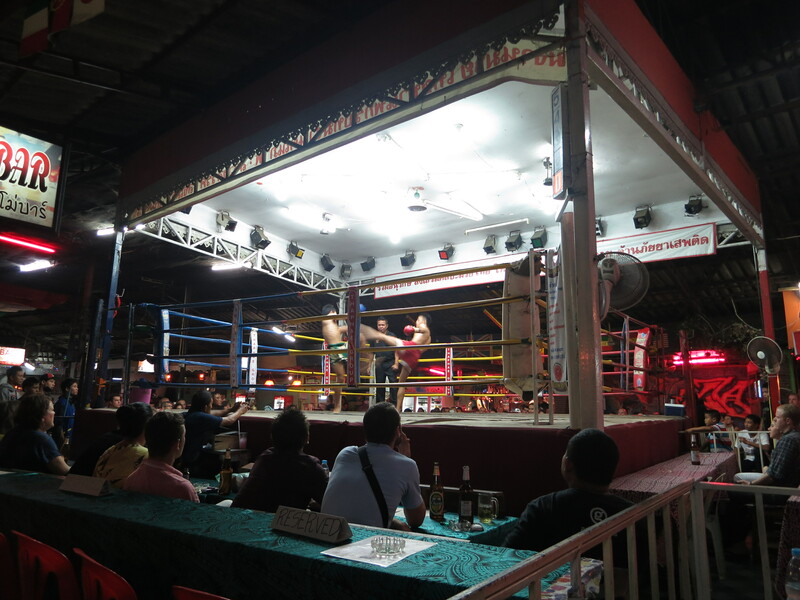 I can see why somewhere like Chiang Mai would be a popular place to do that. It has a large and friendly expat community, it has cheap and good accommodation and food, it has fast and reliable internet connectivity to the outside world, and it’s a pretty city to boot. Who knows, maybe I will come back and sit myself down here for a few months when the money starts to run out, when I do finally have to confront the horror of having to earn myself an income again. Anyway, all of that’s irrelevant drivel for the moment: my point is that unlike most of our destinations to date, we hadn’t necessarily come to Chiang Mai quite so much because there was something we wanted to see or do; we came in large part because it was a city we wanted to have checked out for ourselves, in case we might want to come back to it in future, in a different context. Of course, none of that is to say that we wasted our time there. Obviously we hired some scooters and explored. 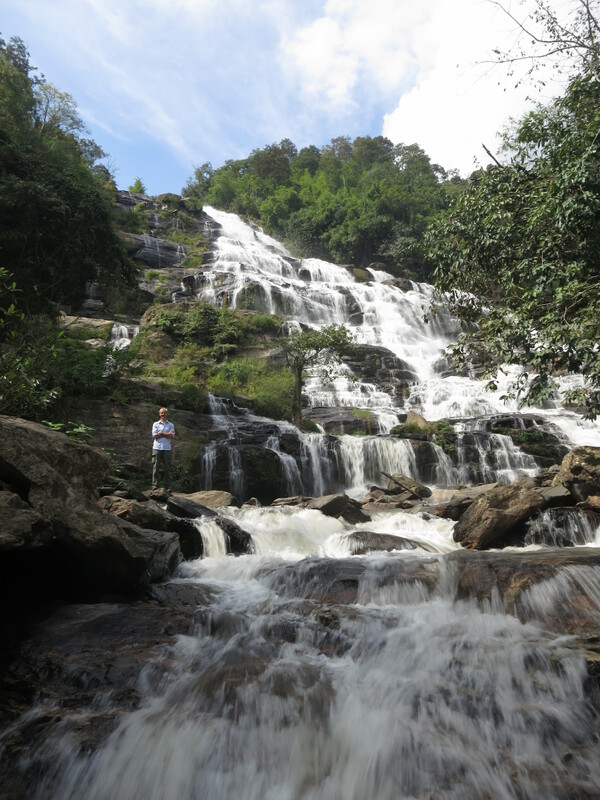 There are some beautiful waterfalls near the city, and so we scooted happily over their way first, enjoying both the falls themselves and the scenery on the way to get to them. We scootered out among the countryside in a big loop around to Samoeng, a nearby town, not because there’s anything there, but just because we could, and because the countryside looked pretty. 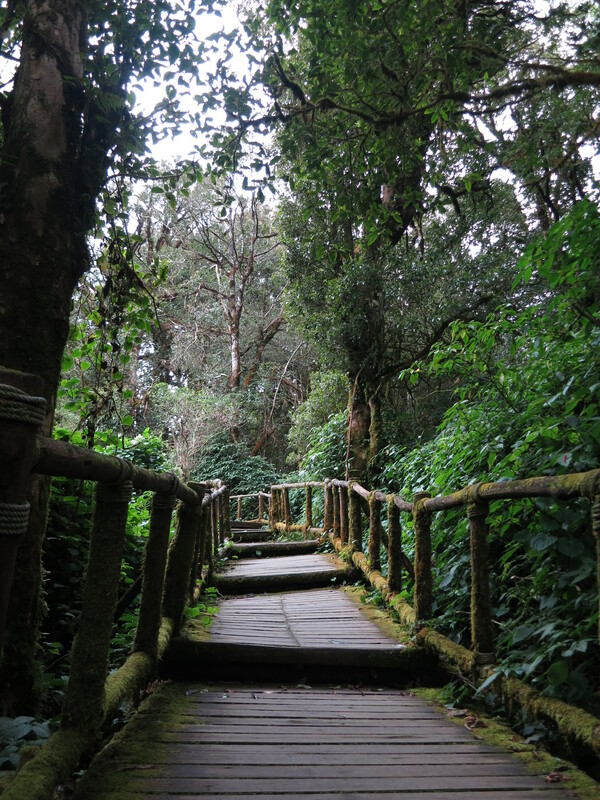 And, in a slightly longer journey, we made our way to Doi Inthanon National Park – again enjoying every moment of the motorised trek out there. Nonetheless, Thailand’s highest mountain it is, and it’s in the middle of a nice enough National Park. 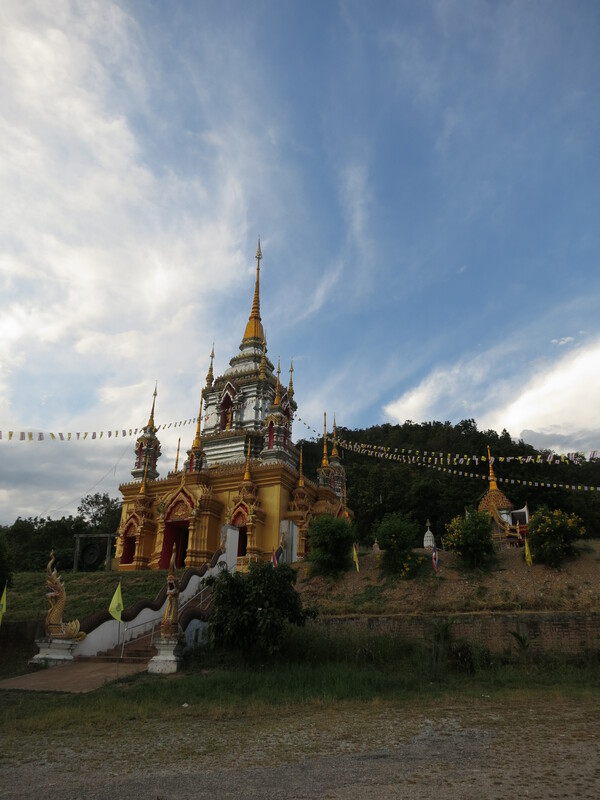 There were more waterfalls, there was a shrine to King Inthanon himself at the top, and there were pretty forests and, of course, plenty of Buddhist wats and pagodas to spy en route. If I’m honest, there was nothing that spectacular about it, but it was a nice day trip, largely because it was yet another nice scenic ride on the bikes. 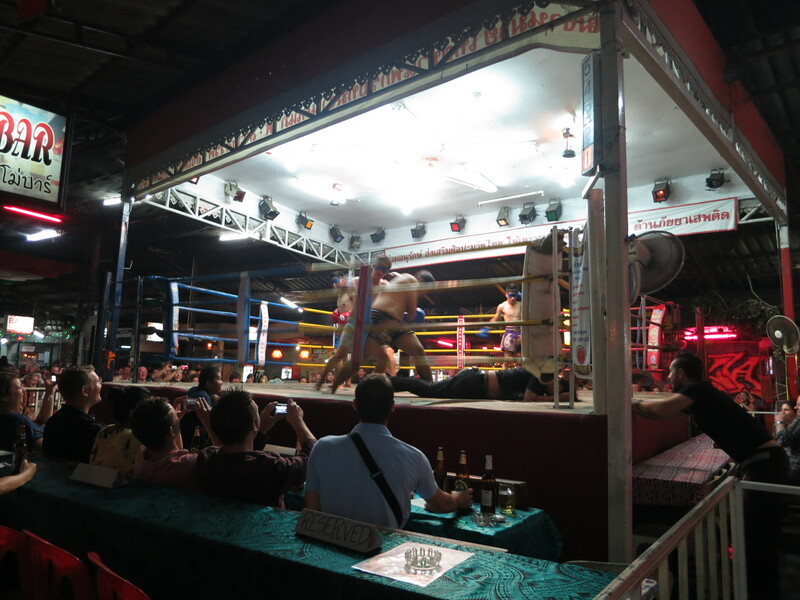 More of a spectacle, I suppose, was the Muy Thai boxing we saw in Chiang Mai. Before that we’d wandered the streets a little, and decided that the market and the bar area nearby were not really our thing – far too many unpleasantly suggestive noises, winkingly-offered ‘massages’ and outright sexual invitations coming from the probably-ladies at the seedy-looking bars. So we headed back nearer town, and towards the Muy Thai venue whose details had been helpfully plonked onto our breakfast table by a scooter-borne pamphlet delivery man that very morning. The boxing was highly entertaining. It wasn’t, I’m sure, the highest quality exhibition of the country’s most popular sport. But there were some genuinely serious matches, so we could see what it’s all about. And there were plenty of more humorous exhibits, too. Viz the five-boxer all-blindfolded arm-flailing contest that served as a sort of half-time show between the more normal fare. 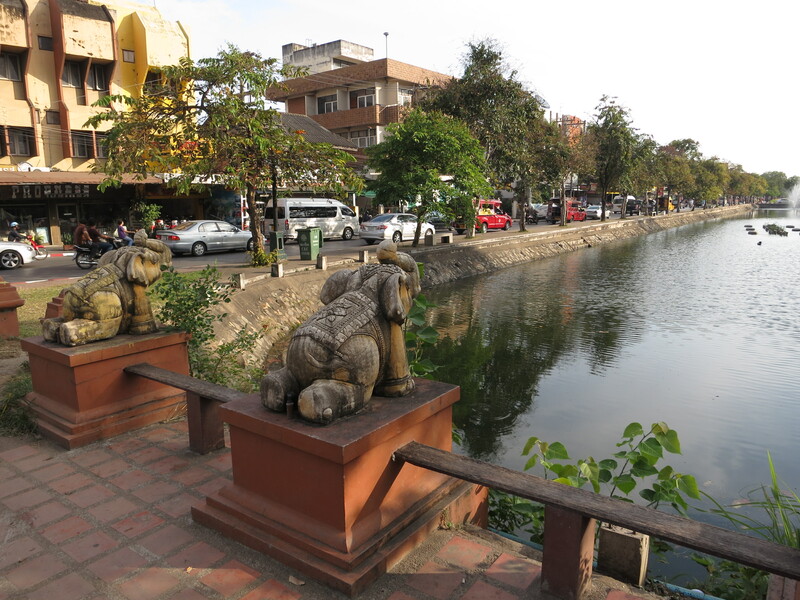 And naturally there were also more respectable spectacles to see in Chiang Mai, too: the many beautiful Wats all through and around the city. Let it not be said that we didn’t experience the more refined side of the culture as well, before yet again temporarily acquiring ourselves some scooters for our next stop: the backpacker-dominated cosy town of Pai. 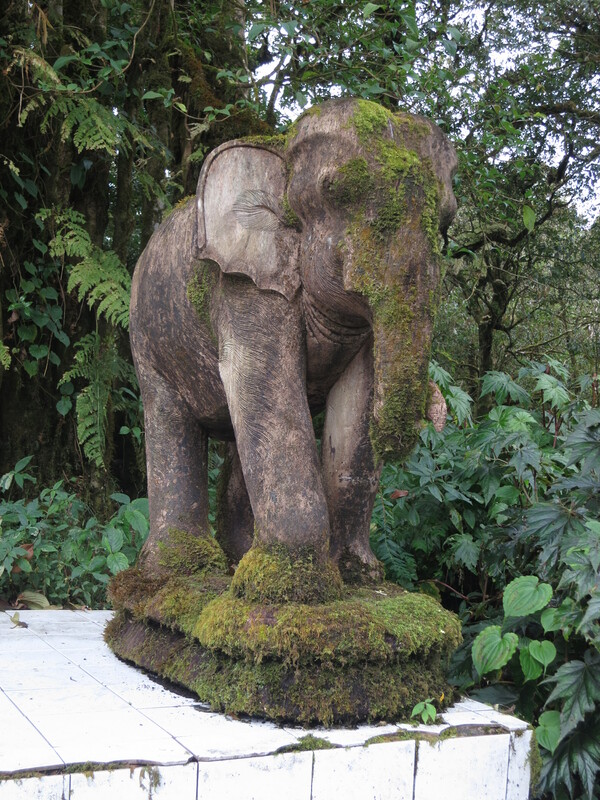 This entry was posted in Travel and tagged chiang mai, thailand by Sam Roberton. Bookmark the permalink.